A lawsuit against a Texas couple who criticized a Dallas pet-sitting business on Yelp and in interviews about being sued should be dismissed because the couple was exercising the right to free speech, Public Citizen told a district court today. In suing the couple, Plano residents Robert and Michelle Duchouquette, Prestigious Pets invoked a non-disparagement clause buried in the fine print of its contract. The company also is making vague claims of defamation and asking for up to $1 million in alleged damages. In October 2015, the Duchouquettes hired Prestigious Pets to watch their two dogs and a fish while they were on vacation. After being dissatisfied with her experience with the company, Michelle wrote a one-star review on Yelp explaining that she didn’t like the fact that she could not reach the pet sitter directly when problems arose and that the fish bowl water appeared cloudy, suggesting that too much food had been put in it. The non-disparagement clause in Prestigious Pets’ contract purported to prohibit customers “from taking any action that negatively impacts Prestigious Pets LLC, its reputation, products, services, management, employees or independent contractors.” In the brief, filed in the District Court of Dallas County, the Duchouquettes argue that the suit should be dismissed under the Texas Anti-SLAPP statute and that Prestigious Pets cannot prove the review was false, defamatory or made with malice; that it caused damage to the company; or that the non-disparagement clause waived the Duchouquettes’ right to free speech. 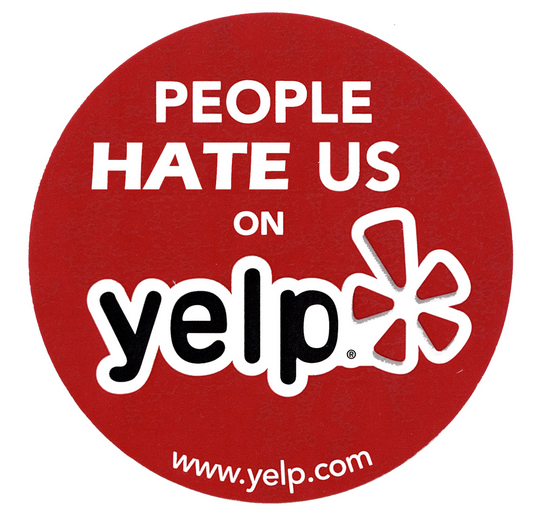 Related: Why do Yelp reviews get filtered?